We are a factory direct wholesaler of some of the highest quality pre-engineered steel building systems. Our corporate headquarters is in San Diego, California and we have fifteen manufacturing/shipping points located throughout the U.S. Our plants are equipped with the most technology advanced computer tooled machinery in the industry. All of our components are pre-cut, pre drilled, pre-engineered under one roof. Our in house engineers are certified in all fifty states in virtually every county. 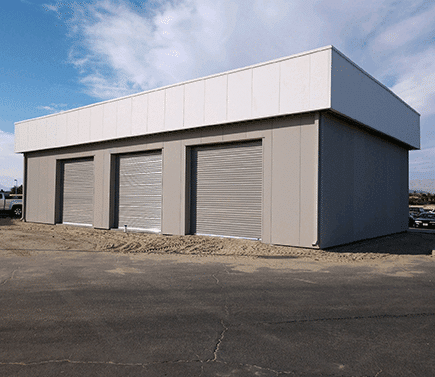 Our buildings start with standard upgrades including factory welded girt clips, PBR roof panels, salt spray tested zinc capped fasteners and sculptured eave trim. Empire Steel Buildings is committed to providing some of the highest quality steel building systems available to steel erectors and end users alike. Our philosophy is simple: Provide the best product at the best price and service our builders every step of the way. From the first contact to your building delivery we are committed to making sure we design, price and ship your building accurately and tailored to your individual project needs. We pride ourselves on having some of the lowest change order ratios and some of the highest repeat and referral business in the industry. Some of the highest quality pre-engineered metal building (steel) systems in the industry backed by our 25 year limited warranty. Some of the highest standard upgrades in the industry. Your pre-engineered building comes with 26 Gage PBR roof and wall panels, factory welded girt and purlin clips, and factory located framed openings just to name a few. Fourteen (14) factories across the country saves freight costs. 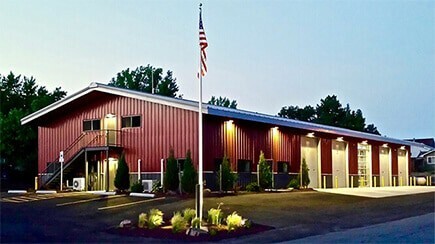 Empire Steel Buildings has built its reputation over the years as a market leader in direct supply of pre engineered steel building systems. Having our Corporate headquarters in San Diego, CA we are one of the most reputable steel building suppliers in the in the Western United States and obtain much of our business through referrals and repeat business. Our support of builders and end users throughout the area has provided us the experience needed to offer the best product, service, and price. We also are seeing a growing trend of new customers in Central and Eastern United Stated as word spreads of our success. Many of our long term employees at 10 years plus are experiencing an 80% repeat referral rate for business. This is just one of the many advantages Empire Steel Buildings incorporates in enabling us to keep our advertising budget close to zero allowing us to pass the savings to you.